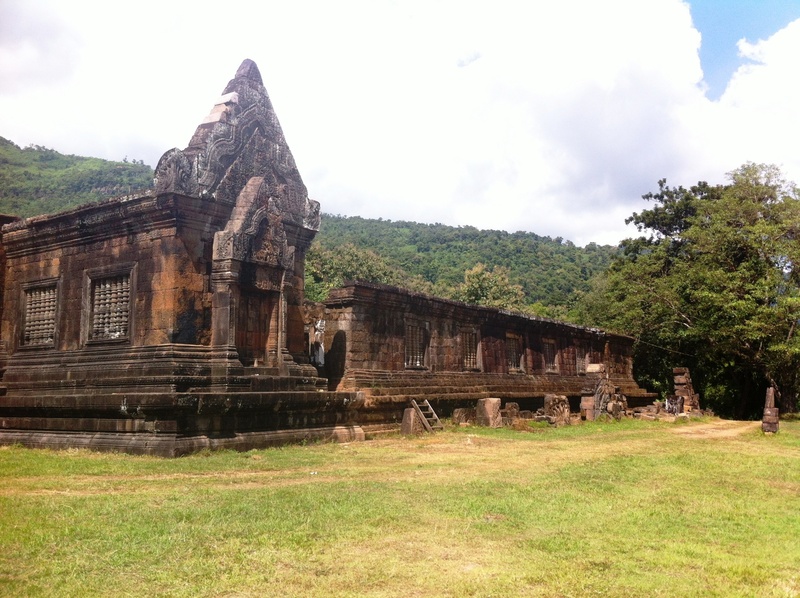 The religious complex of Wat Phou is of Khmer architecture and Hindu Religion. 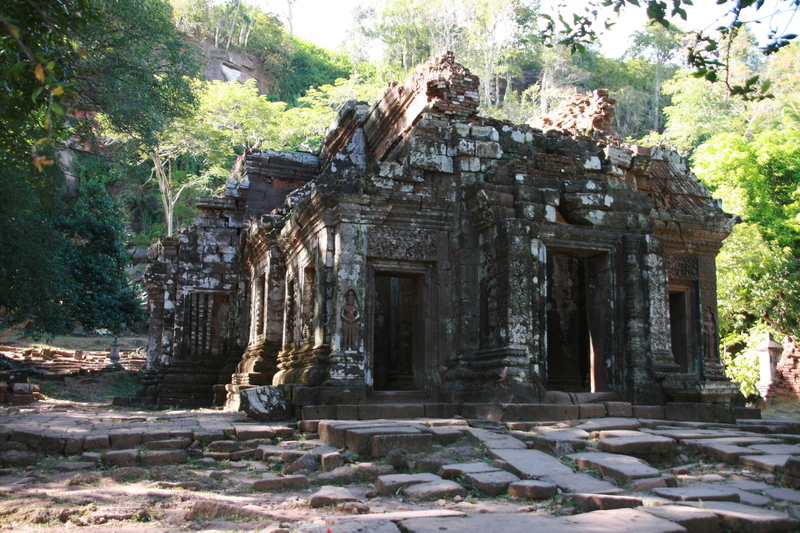 It is located at the foot of Mount Phou Kao, a sacred mountain. Because of its shape, it was in ancient times identified by the Linga, the phallic symbol of Shiva, and therefore called Lingapawarta. 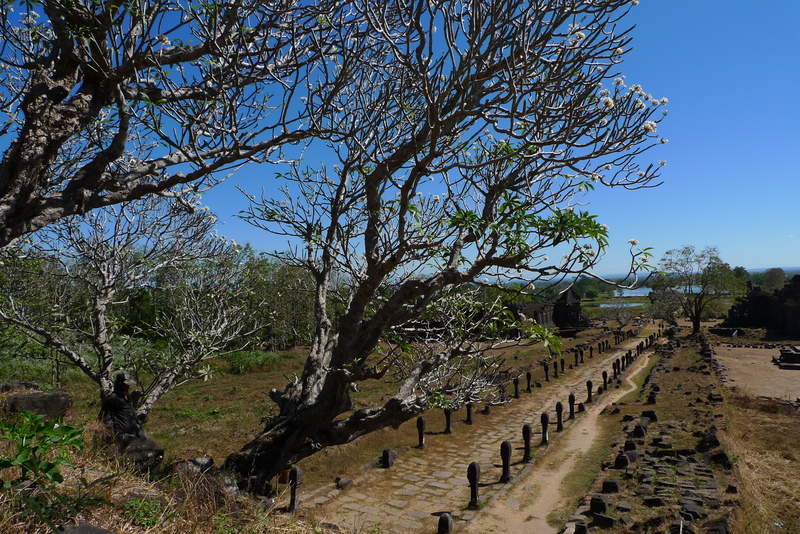 There is a permanent spring at the foot of the mountain, which is probably one of the main reasons why Wat Phou was built there. 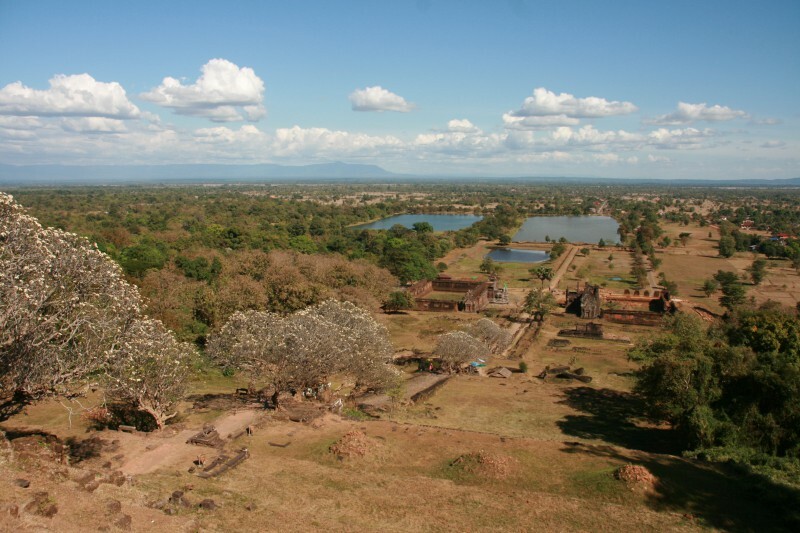 In the plain below Wat Phou, there is a Pre-Angkorian city, located on the banks of the Mekong. Its remains are barely visible on the ground, but appear quite clearly on aerial pictures. Inscriptions from the 5th and 6th century AD already mentioned a sanctuary built on the hill, contemporary with the foundation of the city. However, the religious complex we see today was built during the first part of the 11th century, with some additions and reconstruction in the 12th and 13th century. After climbing the stairs up to the third level, we can discover the main sanctuary, dated 11th century, Baphouon style, built on a large terrace. As in all Khmer sanctuaries, it is flanked on the southern side by a small edifice traditionally called the “library”, though it certainly never contained books.